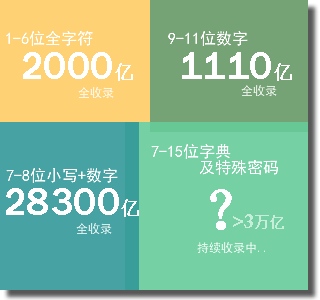 The new registered users give 5 points to complete the first promotion task to give 500~50500 points. Professional site for MD5 and other hash algorithm for online decryption, can upload files online bulk crack, can support tens of thousands of passwords. MD5 alone has a 64T password database, a total of 3 trillion. Including 8 bits plus small numbers of full crack (the world's only online decryption site to support the scope of the decryption), the general query is free.